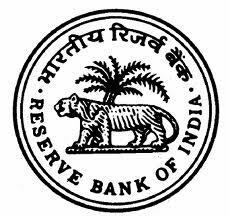 This relates to Master circular of RBIno.RBI/2011-12/83/RPCD.SME&NFS.BC. No.09/06.02.3/2011-12, Dated : July 01, 2011 containing therein the existing guidelines/instructions/directives issued by thr RBI ,from time to time regarding lending to MSME sector to be followed by the commercial banks. The important provision of the circular, which are useful for the knowledge of the existing as well as new entrepreneurs ,who are availing/willing to avail financial assistance from any bank, are given below. Manufacturing Enterprises- Enterprisesengaged in the manufacture or production, processing or preservation of goods where investment in plant and machinery does not exceed Rs. 25 lakh, more than Rs. 25 lakh but does not exceed Rs. 5 crore; and more than Rs.5 crore but does not exceed Rs.10 crore are Micro Ennterprise, Small Enterprise and Medium Enterprise respectively. Service Enterprises-Enterprises engaged in providing or rendering of services and where investment in equipment (original cost excluding land and building and furniture, fittings and other items not directly related to the service rendered or as may be notified under the MSMED Act, 2006) does not exceed Rs. 10 lakh, more than Rs.10 lakh but does not exceed Rs. 2 crore; and more than Rs. 2 crore but does not exceed Rs. 5 crore are Micro Enterprise, Small Enterprise and Medium Enterprise respectively. These will include small road & water transport operators, small business, retail trade, professional & self-employed persons and other service enterprises. A scheme for strategic alliance between branches of banks and SIDBI located in clusters, named as “Small Enterprises Financial Centres” has beenformulated. SIDBI has so far executed MoU with 15 banks so far. (a) Alll loan applications for MSE units upto a credit limit of Rs. 25,000/- should be disposed of within 2 weeks and those upto Rs. 5 lakh within 4 weeks provided, the loan applications are complete in all respects. (b) Collateral ( Ref. para 4.2 of the circular) - It is mandatory for the banks not to accept collateral security in the case of loans upto Rs.10 lakh extended to units in the MSE sector.To extend collateral-free loans upto Rs. 10 lakh to all units financed under the Prime Minister Employment Generation Programme of KVIC. Banks may, increase the limit of dispensation of collateral requirement for loans up to Rs.25 lakh. (c) Composite loan ( Ref. para 4.3 of the circular) - A composite loan limit of Rs.1 crore can be sanctioned by banks to enable the MSE entrepreneurs to avail of their working capital and term loan requirement through Single Window. 5. Delayed Payment ( Ref. para 4.5 of the circular) - After the enactment of the Micro, Small and Medium Enterprises Development (MSMED), Act 2006, the existing provisions of the Interest on Delayed Payment Act, 1998 to Small Scale and Ancillary Industrial Undertakings, have been strengthened. 7. Debt Restructuring Mechanism for MSMEs ( Ref. para 4.9 of the circular) - For stepping up credit to small and medium enterprises, a debt restructuring mechanism for units in MSME sector has been formulated. (a) All non-corporate MSMEs irrespective of the level of dues to banks. (b) All corporate MSMEs, which are enjoying banking facilities from a single bank, irrespective of the level of dues to the bank. (c) All corporate MSMEs, which have funded and non-funded outstanding up to Rs.10 crore under multiple/ consortium banking arrangement. (d) Accounts involving willful default, fraud and malfeasance will notbe eligible for restructuring under these guidelines. (e) Accounts classified by banks as “Loss Assets” will not be eligible for restructuring. 8. Cluster Approach (Ref para 4.10 of section) - Clusters of the state have been identified by the Ministry of Micro, Small and Medium Enterprises, Government of India for focused development of Small Enterprises. (a) The banks were advised to fix their own targets for funding SMEs in order to achieve a minimum 20% year on year growth in credit to SMEs. (b) (b) The banks were advised to follow a transparent rating system with cost of credit being linked to the credit rating of the enterprise. (c) All banks, may make concerted efforts to provide credit cover on an average to at least 5 new small/ medium enterprises at each of their semi-urban/ urban branches per year. Banking Codes and Standard Board of India (BCSBI) (Ref para 4.14 of circular) - The Banking Codes and Standard Board of India (BCSBI) has formulated a Code of Bank's Commitment to Micro and Small Enterprises. It provides protection to MSE and explains how banks are expected to deal with MSE for their day to-day operations and in times of financial difficulty.